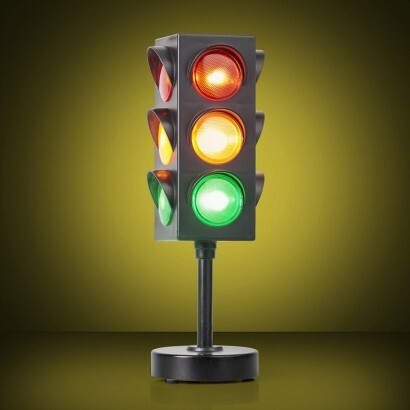 Add urban chic to your interiors with a unique traffic light lamp. Enjoy colourful lighting as the lights flash from red to amber and then green in one second intervals for a funky effect that is ideal for visual stimulation and adding a little excitement to your space. 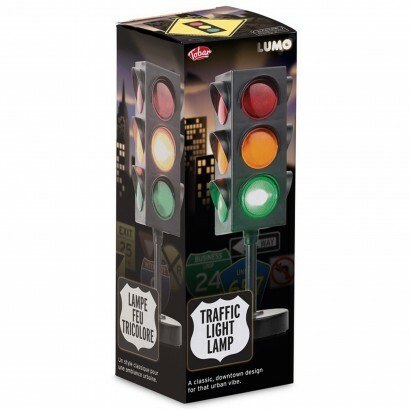 Battery operated, this traffic light lamp has signal lights on three sides giving coverage to your room making a fun mood light or party light.